Mrs. Harriet Weeks (Wadhams) Stevens, Wadhams genealogy, proceded by a sketch of the Wadham family in England, , at https://books.google.com/books?id=SHFZAAAAMAAJ . New York: Frank Allaben Genealogical Company, (1913) , p. 307. EVERETT G. KNAPP SERVICES PENDING, Leavenworth Times, Leavenworth, Kansas, July 8, 1963. 1900 United States. Census Office. 12th census, 1900 population census schedules, Washington, District of Columbia: Bureau of the Census Micro-Film Laboratory, ([197-]) , Census Place: Leavenworth Ward 3, Leavenworth, Kansas; Roll: 486; Page: 9B; Enumeration District: 95; FHL microfilm: 1240486. 1895 Kansas State Census, Kansas State Historical Society,. living at Leavenworth, Leavenworth County, Kansas. Find A Grave Memorial# 157004391. "Kansas, Marriages, 1840-1935," index, FamilySearch (https://familysearch.org/pal:/MM9.1.1/FWLG-G3T : accessed 03 Dec 2012), Everett D. Knapp and Addie Colby, 12 May 1884. 1910 United States. Bureau of the Census. 13th census, 1910 population census schedules, Washington, District of Columbia: Bureau of Census Micro-Film Lab, ([19--?]) 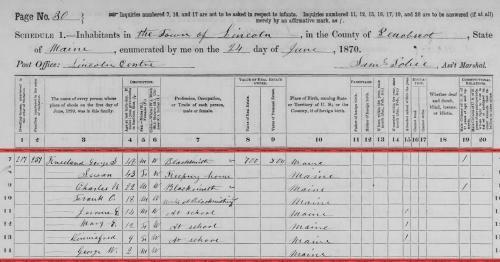 , Census Place: Leavenworth Ward 3, Leavenworth, Kansas; Roll: T624_444; Page: 8A; Enumeration District: 98; Image: 1140. 1920 United States. Bureau of the Census. 14th census, 1920 population census schedules, Washington, District of Columbia: The National Archives, ([193-?]) , Census Place: Leavenworth Ward 3, Leavenworth, Kansas; Roll: T625_537; Page: 2B; Enumeration District: 103; Image: 346. 1930 United States. Bureau of the Census. 15th census, United States, 1930 federal census : population schedules ; NARA microfilm publication T626, Washington, District of Columbia: Bureau of the Census Micro-Film Laboratory, ([19--?]) , Census Place: Leavenworth, Leavenworth, Kansas; Roll: 708; Page: 14A; Enumeration District: 23; Image: 151.0. 1910 United States. Bureau of the Census. 13th census, 1910 population census schedules, Washington, District of Columbia: Bureau of Census Micro-Film Lab, ([19--?]) , Census Place: Leavenworth Ward 3, Leavenworth, Kansas; Roll: T624_444; Page: 8A; Enumeration District: 0098; Image: 1146; FHL microfilm: 1374457. MARTHA KNAPP, Leavenworth Times, Leavenworth, Kansas, January 4, 1971. "United States Social Security Death Index," database, FamilySearch (https://familysearch.org/ark:/61903/1:1:J5HK-W31 : 19 May 2014), Everett G Knapp, 20 Jan 2003; citing U.S. Social Security Administration, Death Master File, database (Alexandria, Virginia: National Technical Information Service, ongoing). 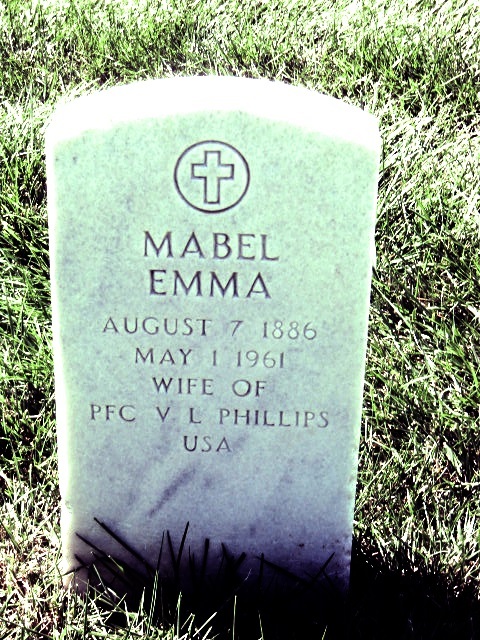 "United States, GenealogyBank Obituaries, 1980-2014," database with images, FamilySearch (https://familysearch.org/ark:/61903/1:1:QK43-DN2V : 16 September 2015), Everett G Knapp Jr, Missouri, United States, 22 Jan 2003; from "Recent Newspaper Obituaries (1977 - Today)," database, GenealogyBank.com (http://www.genealogybank.com : 2014); citing Kansas City Star, The, born-digital text. 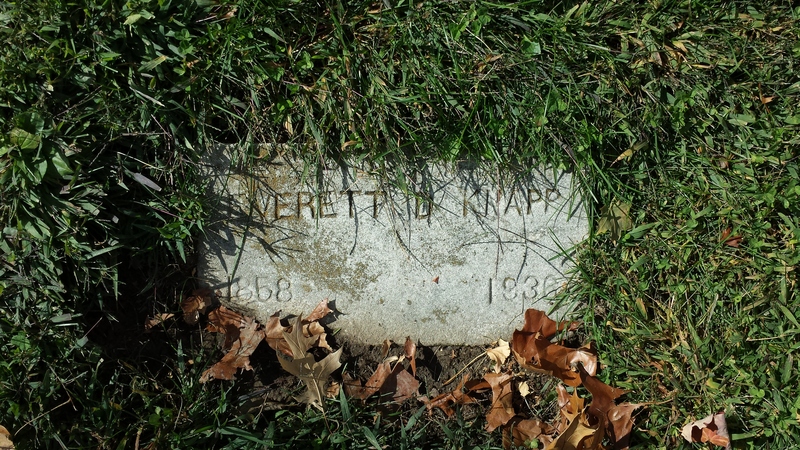 "United States Census, 1940," database with images, FamilySearch (https://familysearch.org/ark:/61903/1:1:VR22-MLH : 17 May 2014), Everette P Knapp in household of Everette P Knapp, Quindaro Township, Wyandotte, Kansas, United States; citing enumeration district (ED) 105-9B, sheet 19B, family 480, NARA digital publication T627 (Washington, D.C.: National Archives and Records Administration, 2012), roll 1266. 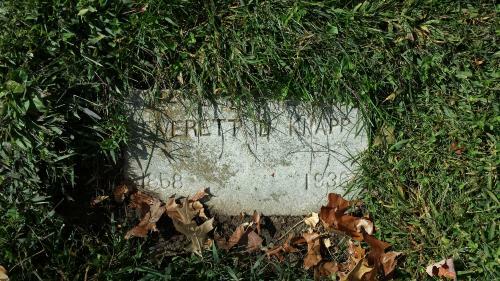 "United States Public Records, 1970-2009," database, FamilySearch (https://familysearch.org/ark:/61903/1:1:KLTN-VC9 : 22 May 2014), Everett G Knapp, Residence, Kansas City, Kansas, United States; a third party aggregator of publicly available information. Ronald Knapp was born perhaps about 1962. Amos Otis, Genealogical Notes of Barnstable Families, Baltimore, Maryland: Genealogical Publishing Co., (2007) , Vol. 2, p. 44. Boston Births 1700-1800, (Online database: New England Historic Genealogical Society, 2006), (A Report of the Record Commissioners of the City of Boston Containing Boston Births from A.D. 1700 to A.D. 1800, Rockwell and Churchill, City Printers, Boston, 1894. ), , p. 274. Boston Births 1700-1800, (Online database: New England Historic Genealogical Society, 2006), (A Report of the Record Commissioners of the City of Boston Containing Boston Births from A.D. 1700 to A.D. 1800, Rockwell and Churchill, City Printers, Boston, 1894. ), , p. 432. George W. Messinger, "The Hinckley Family", New England Historical and Genealogical Register Vol. 13 (1859): p. 211. George W. Messinger, "The Hinckley Family", p. 210. George W. Messinger, "The Hinckley Family", p. 210-1. 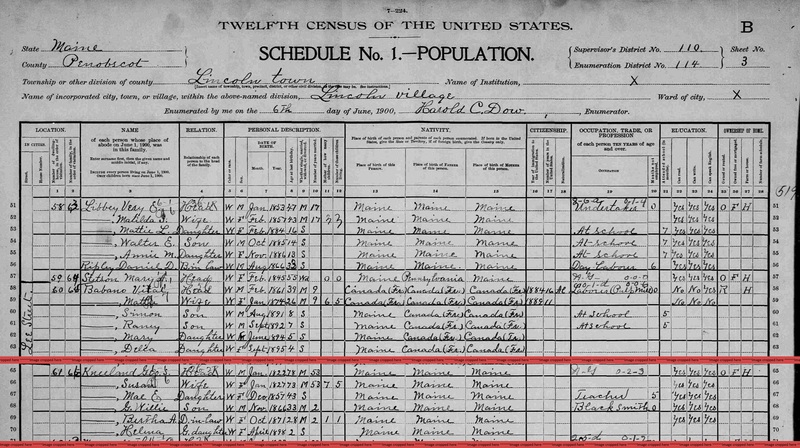 "United States Census, 1930", database with images, FamilySearch (https://familysearch.org/ark:/61903/1:1:XC3G-LW3 : 8 December 2015), Guy Kneeland, 1930. "Maine, Births and Christenings, 1739-1900," index, FamilySearch (https://familysearch.org/pal:/MM9.1.1/F498-WH6 : accessed 28 Nov 2012), Charles R Kneeland, 08 Dec 1847; citing reference , FHL microfilm 9815. "Maine, Deaths and Burials, 1841-1910," index, FamilySearch (https://familysearch.org/pal:/MM9.1.1/F48F-Y5N : accessed 28 Nov 2012), Charles R Kneeland, 03 Nov 1872. "Massachusetts, Town Clerk, Vital and Town Records, 1626-2001," database with images, FamilySearch (https://familysearch.org/ark:/61903/1:1:FHRC-8XG : 13 July 2016), James Gorham and Charlotte Kneeland, 22 May 1803; citing Marriage, Boston, Suffolk, Massachusetts, United States, , town clerk offices, Massachusetts; FHL microfilm 818,094. "Massachusetts, Town Clerk, Vital and Town Records, 1626-2001," database with images, FamilySearch (https://familysearch.org/ark:/61903/1:1:Q2QK-N4V8 : 19 July 2016), John J Gorham, 24 Apr 1893; citing Death, Somerville, Middlesex, Massachusetts, United States, , town clerk offices, Massachusetts; FHL microfilm 2,436,486. Memorial Biographies of the New England Historic Genealogical Society, , at https://books.google.com/books?id=NXEtAAAAYAAJ . Boston: New England Historic Genealogical Society, (1905) , pp. 432-3. "Maine, Births and Christenings, 1739-1900," index, FamilySearch (https://familysearch.org/pal:/MM9.1.1/F498-W43 : accessed 28 Nov 2012), Flora Ella Kneeland, 13 Mar 1849; citing reference , FHL microfilm 9815. "Maine, Deaths and Burials, 1841-1910," index, FamilySearch (https://familysearch.org/pal:/MM9.1.1/F48F-Y53 : accessed 28 Nov 2012), Flora Ella Kneeland, 17 Aug 1850. "Maine, Births and Christenings, 1739-1900," index, FamilySearch (https://familysearch.org/pal:/MM9.1.1/F498-WHK : accessed 28 Nov 2012), Frank Owen Kneeland, 26 Feb 1851; citing reference , FHL microfilm 9815. Find A Grave Memorial# 37947296. "Maine, Vital Records, 1670-1907 ," index and images, FamilySearch (https://familysearch.org/pal:/MM9.1.1/VZQL-HHP : accessed 28 Nov 2012), Frank O Kneeland, 1902. "Massachusetts, Marriages, 1841-1915," index and images, FamilySearch (https://familysearch.org/pal:/MM9.1.1/NW1K-7MY : accessed 11 Dec 2012), Frank P. Knuland and Nellie A. Sanderson, 1882. 1900 United States. Census Office. 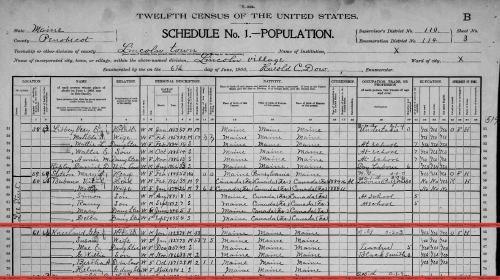 12th census, 1900 population census schedules, Washington, District of Columbia: Bureau of the Census Micro-Film Laboratory, ([197-]) , Census Place: Shelton, Mason, Washington; Roll: 1747; Page: 21A; Enumeration District: 0137; FHL microfilm: 1241747. Washington, Washington Territorial Census Rolls, 1857-1892, Olympia, Washington: Washington State Archives, , 1885 > Mason > 2. Washington, Washington Territorial Census Rolls, 1857-1892, Olympia, Washington: Washington State Archives, , 1887 > Pierce > Tacoma > 78. 1920 United States. Bureau of the Census. 14th census, 1920 population census schedules, Washington, District of Columbia: The National Archives, ([193-?]) , Census Place: Tacoma Ward 1, Pierce, Washington; Roll: T625_1936; Page: 5A; Enumeration District: 246; Image: 152. 1910 United States. Bureau of the Census. 13th census, 1910 population census schedules, Washington, District of Columbia: Bureau of Census Micro-Film Lab, ([19--?]) , Census Place: Tacoma Ward 8, Pierce, Washington; Roll: T624_1665; Page: 3B; Enumeration District: 0284; ; FHL microfilm: 1375678. Ancestry.com, U.S. City Directories, 1821-1989 (Beta), [database on-line]. Provo, UT, USA: Ancestry.com Operations, Inc., (2011) , Washington > Tacoma > 1924 > Tacoma, Washington, City Directory, 1924 > 211. "Washington, Death Certificates, 1907-1960," index, FamilySearch (https://familysearch.org/pal:/MM9.1.1/N3TS-Z72 : accessed 11 Dec 2012), Grace G Franz, 13 Feb 1942. "Washington, Death Certificates, 1907-1960," index, FamilySearch (https://familysearch.org/pal:/MM9.1.1/N35W-2Y3 : accessed 11 Dec 2012), Madeline Merll Jacobson, 07 Sep 1930. Ancestry.com, U.S. City Directories, 1821-1989 (Beta), [database on-line]. Provo, UT, USA: Ancestry.com Operations, Inc., (2011) , Washington > Tacoma > 1953 > Tacoma, Washington, City Directory, 1953 > 263. "United States Public Records, 1970-2009," database, FamilySearch (https://familysearch.org/ark:/61903/1:1:2MH2-KZN : 23 May 2014), Gene G Kneeland, Residence, Buckley, Washington, United States; a third party aggregator of publicly available information. "United States Census, 1940," database with images, FamilySearch (https://familysearch.org/ark:/61903/1:1:K9SW-TT8 : accessed 3 April 2016), Hugh Kneeland, Buckley Election Precinct 2, Pierce, Washington, United States; citing enumeration district (ED) 27-13, sheet 2B, family 47, NARA digital publication T627 (Washington, D.C.: National Archives and Records Administration, 2012), roll 4355. Hugh (Bud) Franklin Kneeland, Weeks' Funeral Home, 451 Cemetery Rd, Buckley, WA US 98321. Maine State Archives; Cultural Building, 84 State House Station, Augusta, ME 04333-0084; Pre 1892 Delayed Returns; Roll #: 62. National Archives and Records Administration (NARA); Washington, D.C.; Consolidated Lists of Civil War Draft Registration Records (Provost Marshal General's Bureau; Consolidated Enrollment Lists, 1863-1865); Record Group: 110, Records of the Provost Marshal General's Bureau (Civil War); Collection Name: Consolidated Enrollment Lists, 1863-1865 (Civil War Union Draft Records); ARC Identifier: 4213514; Archive Volume Number: 2 of 2. Maine State Archives; Cultural Building, 84 State House Station, Augusta, ME 04333-0084; 1908-1922 Vital Records; Roll #: 30.